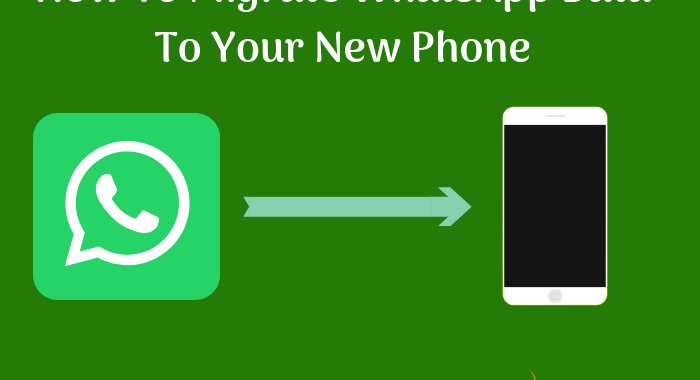 Are you looking forward to using WhatsApp Business app for your business? A lot of us use WhatsApp app for chatting, calls with friends and family, but we never thought that it could be used for business purpose as well. Social media networks like Facebook, Instagram, Twitter are being used by websites/businesses/companies to reach out to their customers, and now WhatsApp as well. WhatsApp, the most popular Facebook-owned messaging app launched its WhatsApp Business App in January 2018. 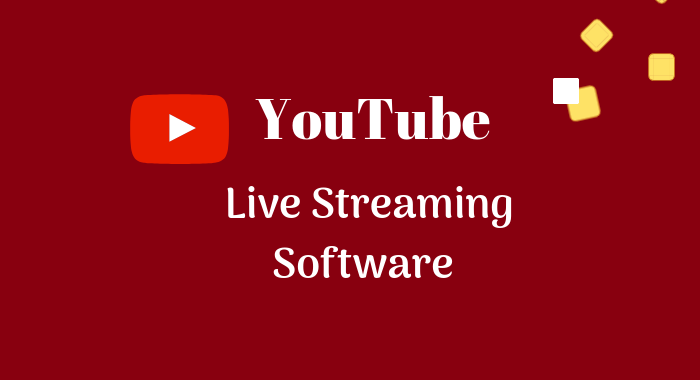 It is a separate app available on the Google Play Store for Android Users. The app is only available for Android platforms that own 80% of global market share as of 2016. What WhatsApp Business App Offers? WhatsApp business account is intended to effectively provide various business services as well as easy customer support over mobile communication. For 1.3 billion WhatsApp users around the world, WhatsApp Business App it’s a perfect platform to implement business strategies. This app is for a different target audience; targeted to small and medium-sized businesses. If you are a business owner and want to enlarge your customer communication horizons, WhatsApp Business is the right choice to reach out to prospective and existing customers. In the following tutorial, we will guide you how to get started and use WhatsApp Business App for your online or offline business services. To sum up the tutorial, here are the following things that you are going to learn. 4. How Can WhatsApp Business Support Your Sales And Marketing? Let’s begin with the tutorial now. Step 1: Download WhatsApp business application which is available on Google Play Store (we have already mentioned the link above). Step 2: After completing the installation, open the application and enter your business mobile number and sign up with a mobile number. Now, you will either need an alternate number for WhatsApp Business. If you don’t have a different mobile number, you can use your regular WhatsApp number. Although, you can use a mobile number either on WhatsApp or WhatsApp Business. 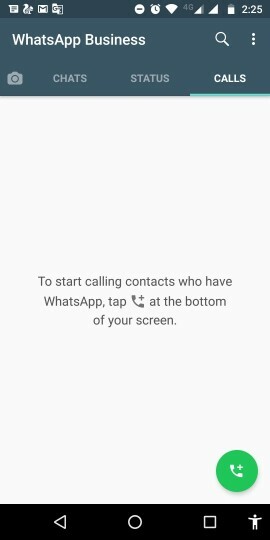 Thus, if you use your regular WhatsApp number, your profile will be transferred to WhatsApp Business, along with all your contacts. Step 3: In the next step you will be asked to set up your Business details. To do this, go to Business Settings. Here, you will see six options. Let’s see how you can use these options. Profile: Under this section, you can set up your Business Address, Choose a Category, Enter a description, Set up Business Hours, Website, an official email address. You can add all these details to keep your customer up to date with your Business Info. Statistics: The statistics section is an informative section for WhatsApp Business Users. It tells you about the numbers of messages Sent, delivered, read and received. Short Link: The short link setting makes it easy for customers to send you a message. 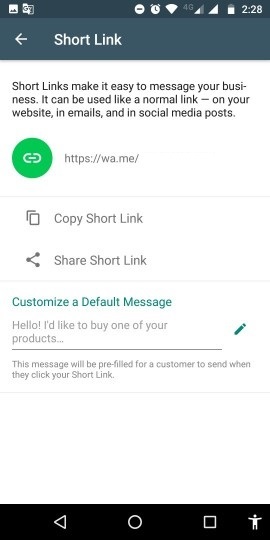 Your WhatsApp Business short link will be unique for your account, and you can add it to your website, social media, or add in emails. Anyone who will click on this link will be redirected your WhatsApp Business account, and they can send you a WhatsApp message to you. 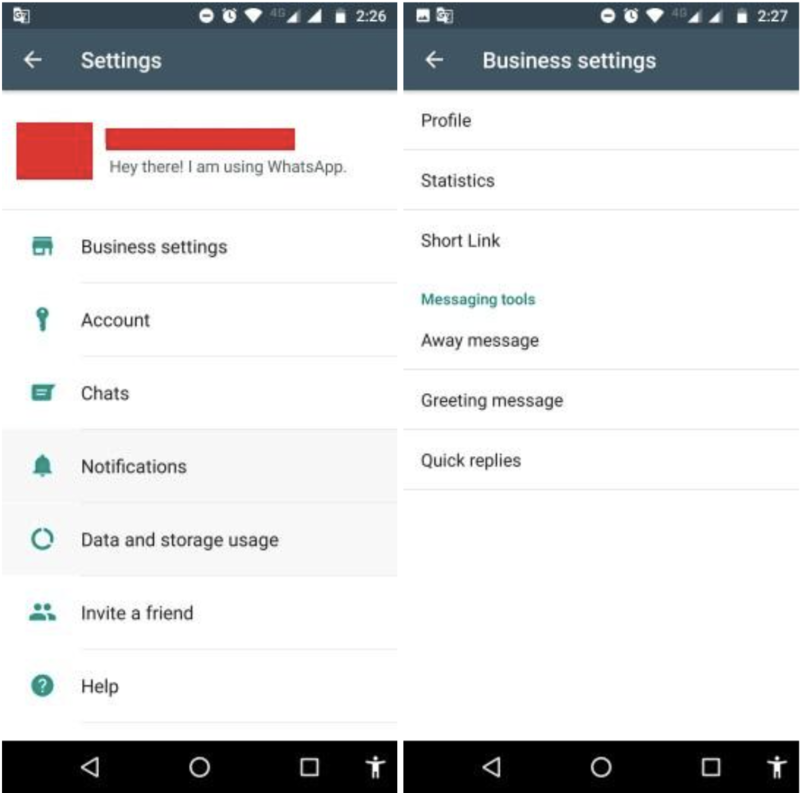 Now once your WhatsApp Business Account profile is complete, you should set the messaging options. 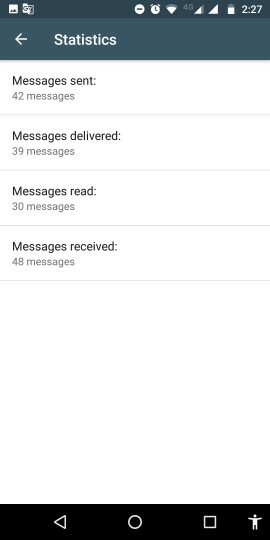 Away Message: This option is useful when you aren’t able to use your WhatsApp Business account. To setup Away Message, first, tap on the Send Away Message option and to make it active. After that, set a message that you want the customers to see when you are away. Now you can set when you want to send this message. You can choose between Always Send, Custom Schedule and Outside Business Hours. In the Custom Schedule, if you aren’t available between a specific time during the days, you can choose this option. If you always have Business hours set, select the outside business hours option, and WhatsApp will respond with your chosen message outside your business hours. You can even select the recipients you wish to send the Away message. You can choose between Everyone, Everyone not in the address book, Everyone except, and Only send to. 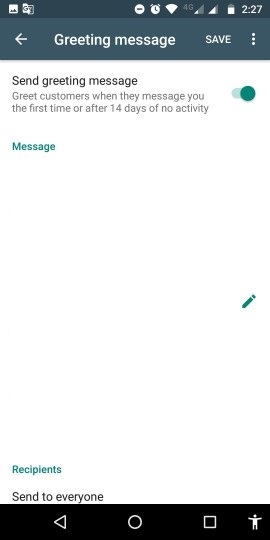 Greetings Message: This is one of the best features of WhatsApp Business as you can write a custom message that senders get when they are texting you for the first time. Tap on the Send Greetings Message and then edit the message you want your customers to have. Now you can select the recipients for the Greetings message. You can choose between Everyone, Everyone not in the address book, Everyone except, and Only send to. Quick Replies: There is some necessary information that every new customer is looking for when they text you on your WhatsApp Business account. 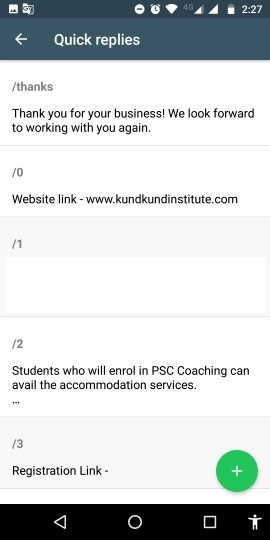 For example, if you are a coaching institute, your customers would like the Classroom program details, Distance Learning Couse, Coaching Fee, Registration Links, etc. Now WhatsApp Business lets you save up to 50 quick replies. In this, you first create a keyboard shortcut for a message and then type the text. You can add images and smileys in this message. Click the + button on the bottom right corner on your phone screen and then add the message, Shortcut, and a keyword. Once you have added all the info, click save. Now once you have added all the quick links, all you have to is, write the shortcut while replying and your save quick message will automatically be sent. 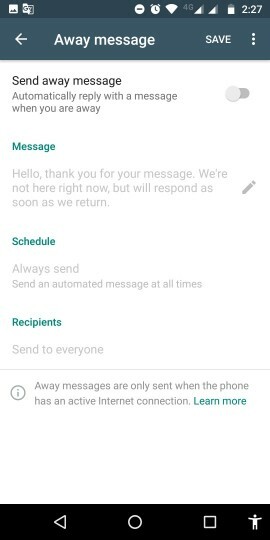 These are some of the features that will be useful while using WhatsApp Business. One cool thing about WhatsApp Business App is that it provides flexible access to your business account on Desktop; that means you can access and manage your customers through web.whatsapp.com. All you have to do is go to WhatsApp web through settings on WhatsApp Business account and scan the QR code on the website. The official business account is identified by a verified mark which represents that it’s authentic and genuine to its customer. You can improve your business marketing through WhatsApp via messaging tools provided in the business account. The tools have features like ‘quick replies’ which is used to give a faster response of frequently asked questions of customers. Another option available is ‘greeting messages’ that is given to your customers when conversation start, it contains a brief overview of business services that you’re presently providing. To tell your customers that you’re out of available for some particular amount of time, ‘away messages’ will help in this scenario that will automatically notice that you’ll not be available at that moment. WhatsApp for business also helps you to let your customer be aware of new product or service launch by sending regular updates. 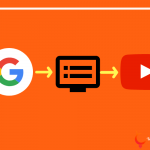 It has the feature of broadcasting where you have to select WhatsApp business group on which you want to send any business regarding the update, and presently there is a limit of picking contact numbers up to 256 contacts respectively. Customer support is one the prime responsibility of any business and WhatsApp for Business has made the job more accessible, and it provides one on one customer interaction to resolve queries of your customers. You can send document attachments, photos, audio, and videos to help your customer to clear their issues. 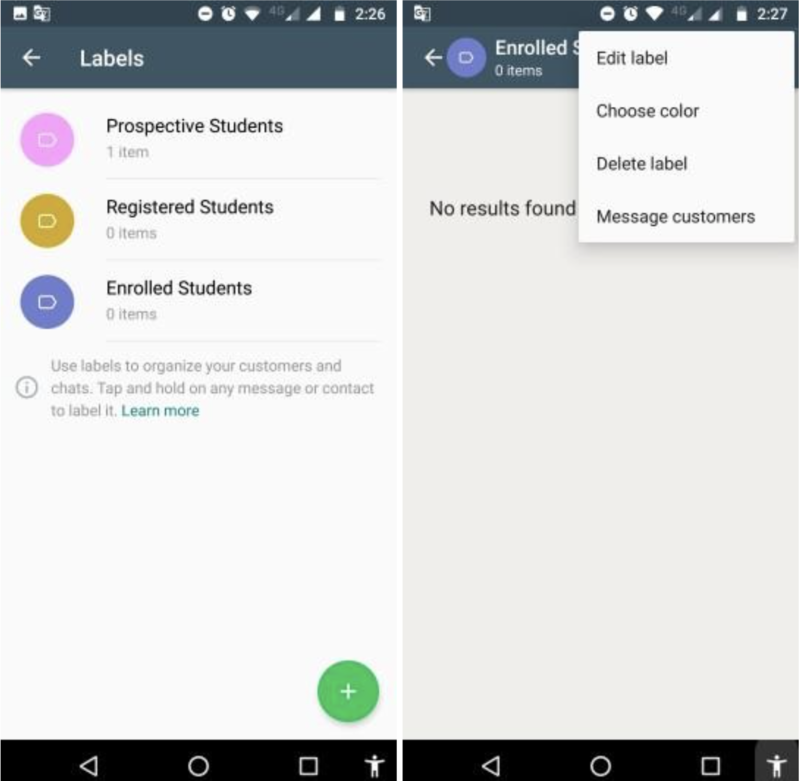 WhatsApp Business account has a unique feature called Labels. It is available on the menu. This feature helps you to organize your chats. You can label your customers according to your needs. 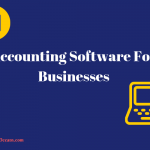 For example, you can set up labels like a “prospective customer,” “Unpaid orders,” “New customers,” or “Completed orders.” Labels give a seamless workflow experience. To add a label to a chat, hold the conversation and then tap on label option from the menu. Here, you can either click on any of the five default labels or create your Label. To view chats by the label, tap on Menu icon – Labels and tap on the label name. How Can WhatsApp Business Support Your Sales And Marketing? Let’s see how WhatsApp Business App can help you to grow your sales and marketing. WhatsApp has long overtaken the traditional SMS Marketing service, and with twice open rate compared to around 35% for email, there is no doubting WhatsApp potential for marketing. Alike WhatsApp, the WhatsApp Business account also lets you send audio, video, images, and stickers. You can get creative as to how you want to represent your brand. WhatsApp Business is a valuable tool for nourishing your customers because of its real-time support and accessibility. It generalizes the communication as more and more customers prefer solutions and answers through texting rather than waiting for email responses and calling. Customers look forward to avoiding calling a helpdesk in most of the situations. The quick support via WhatsApp and its informal tone makes better conversations for customers. Here are some essential tips that you should follow while using WhatsApp Business. People don’t like to interact with unknown numbers. Spamming reduces the trust and deteriorates the relationship among customers and your brand. When you use a Business account to get in touch with your customers, it looks authentic. Once the customer has purchased a product or services from you; asking for genuine feedback will help you and your brand improve. Feedback is the key to get the right direction to improve the quality of your product and services. When a customer has used your services, do ask them to give feedback by sending them a quick feedback form. The affirmative feedback act as a magnet which will attract more and more customers to get associated with your product and services, hence you should always appreciate the feedback. WhatsApp statuses are almost similar to Instagram stories. You can use WhatsApp Business Stories option to post limited time deals and discount coupons. Similar to WhatsApp, they will disappear after 24 hours. You can run stories of special offers and discount for your current audience that will improve your sales. You should always take care of your customers by questioning them if they found issue regarding the product after post-purchase. Reliable customer support is essential for any business as it builds a healthy relationship among customer and your business. The great thing about WhatsApp Business as a tool is that almost everybody knows how to use it. From your staff members to your customers, everyone is accosted to using WhatsApp. Now, WhatsApp Business isn’t an efficient option for big companies and has more to come from a payments facility to integrations and to be available on iOS. 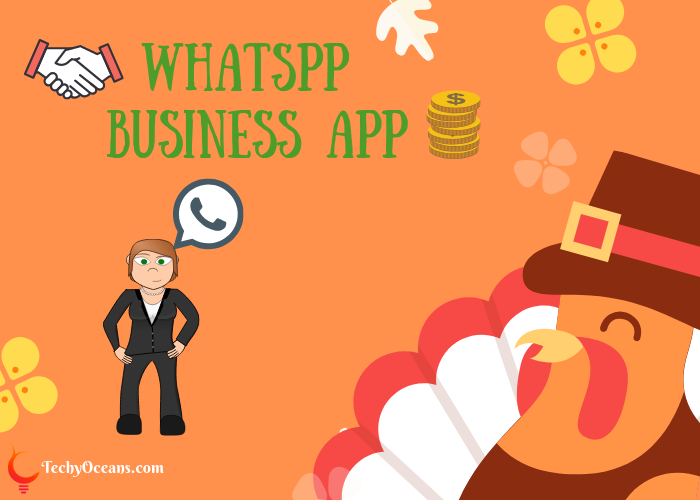 But, if you are a small to medium business, WhatsApp Business app can help you improve your customer relations with its exciting features like labels, Greetings & Away Messages, Quick Replies and Business Profile options. We hope you find this tutorial helpful and quickly start using WhatsApp Business App for your own business. If you have any queries or doubts using the app, feel free to let us know. Like this post? You might like to read the following articles as well.